In 1970, Arnold Schwarzenegger competed in and won the World Weightlifting Championships here in Columbus, after which, he vowed to return to Columbus one day to promote the sport of bodybuilding. In 1976 he did just that, finally establishing the Arnold Classic in Ohio’s capital city in 1989. 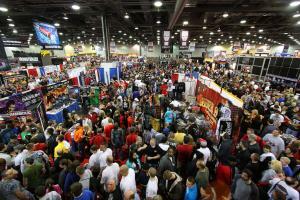 Now, 27 years later, the event is known as the Arnold Sports Festival, is held annually the first weekend in March in Columbus, and is the largest multi-sport event in the nation. The Arnold, as it is lovingly known around the city, was named among the top 100 events in the country by BizBash in 2015 and will again return from March 4-6, 2016. The city will be filled with the nearly 185,000 attendees and 18,000 athletes competing in 70 sports and events, including 14 Olympic sports, at the Greater Columbus Convention Center (GCCC) and Ohio Expo Center, among other athletic venues. Of course, 46 years after being crowned champion in this great city, Columbus is a place that the event’s namesake, Arnold Schwarzenegger, holds in incredibly high regard. Arnold makes appearances at many events throughout the weekend every year, and has even recently been spotted around the city shooting scenes for a new movie. We caught up with him to ask him a few questions about what he loves best about Columbus and would recommend to those visiting for the Festival. Experience Columbus: My visit to Columbus is not complete without ____. People travel to Columbus from all over the world for the Arnold Sports Festival and the newly-renovated Port Columbus International Airport will be very busy come the first weekend in March. 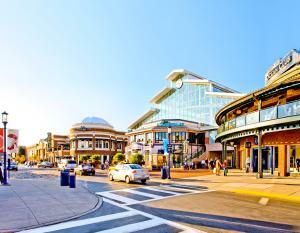 Easton Town Center is just a short drive from the airport and a must-stop for anyone looking to do some shopping and get some souvenirs to take back home. Dubbed “the Rodeo Drive of the Midwest,” Easton continuously draws luxury retailers such as Burberry and Louis Vuitton, tourist favorite American Girl. These are featured alongside community favorites such as Celebrate Local, which features only Ohio-made products and local artisan goods. With its unique village setting and broad assortment of restaurants, entertainment and retailers, this indoor/outdoor mall is a fashion guru’s dream. Experience Columbus: What is your favorite neighborhood to visit while you’re here? We know from one of Arnold’s recent Facebook posts, that he loves the cream puffs from Schmidt’s Sausage Haus in German Village. 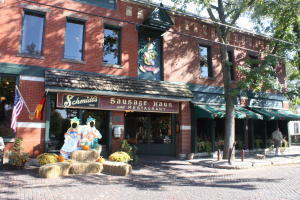 German Village exhibits Columbus’ vast array of hidden gems with its quaint homes, boutique shops, cobblestone streets and independent restaurants. Make sure to stop in to Katzinger’s Deli for a big-as-your head sandwich and finish off with a local favorite, macarons from Pistacia Vera. German Village sits just south of downtown and can be easily accessed from the GCCC and downtown hotels via the free CBUS Circulator. The GCCC is currently undergoing a $125 million renovation and expansion, set to be complete in July 2017. The renovated center will be 1.8 million square feet, highlighted by 373,000 sq. ft. of contiguous exhibit space, and boast 3 ballrooms, 74 meeting rooms and 35 loading docks. Many areas of the center are already complete, and The Arnold will be the first group to host events in the newly-completed Union Station Ballroom. Nationwide Arena, home of the NHL’s Columbus Blue Jackets, sits in the heart of downtown Columbus and is a multi-purpose sports and entertainment facility seats up to 20,000 for major events. Experience Columbus: What makes you such a big fan of Columbus? 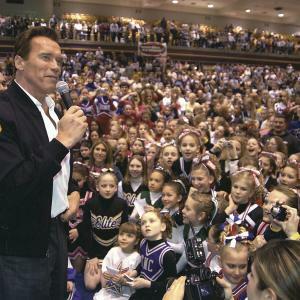 The Arnold Sports Festival has been held in Columbus for the past 27 years, and Arnold has said himself, it will never be held anywhere else in the U.S. Although it has grown and expanded to 5 other countries, Columbus will always be its home. Nearly 185,000 attendees will converge on Columbus over 3 days to see the nearly 900 fitness and nutrition booths, watch bodybuilding competitions or just take in the crowds. Columbus rolls out the red carpet for this weekend, having shows and events at the GCCC, the Ohio Expo Center and Hollywood Casino, to name a few. Restaurants, bars and hotels are jam-packed over the weekend for one of Columbus’ must-see events of the year.